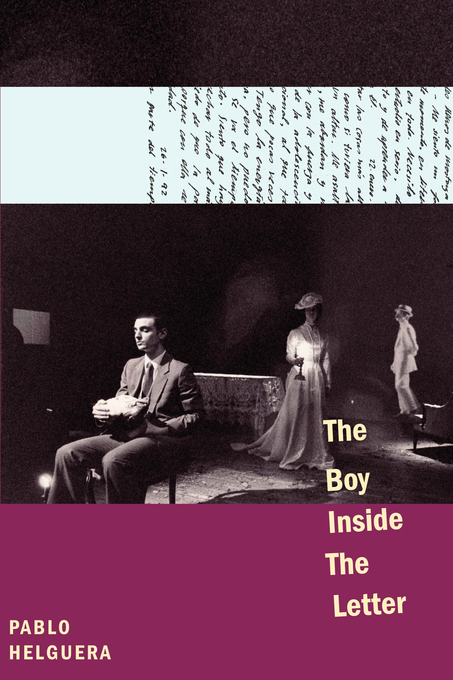 “Adolescence prepares us for adulthood, but nothing truly prepares us for adolescence”, says the protagonist of The Boy Inside the Letter. This autobiographical work written in the style of a Künstlerroman —a novel of artistic education— provides a rare glimpse into the mind of a XXIst century artist during his art school years. The novel departs from the author’s actual personal diaries written at the time when he was 17 to 21 years old, serving as a day-by-day account of the most important transition of his life, relocating from one country to another, growing from adolescence into adulthood, and looking for the ideal love, while at the same time attempting to navigate the difficult road toward becoming a contemporary artist. 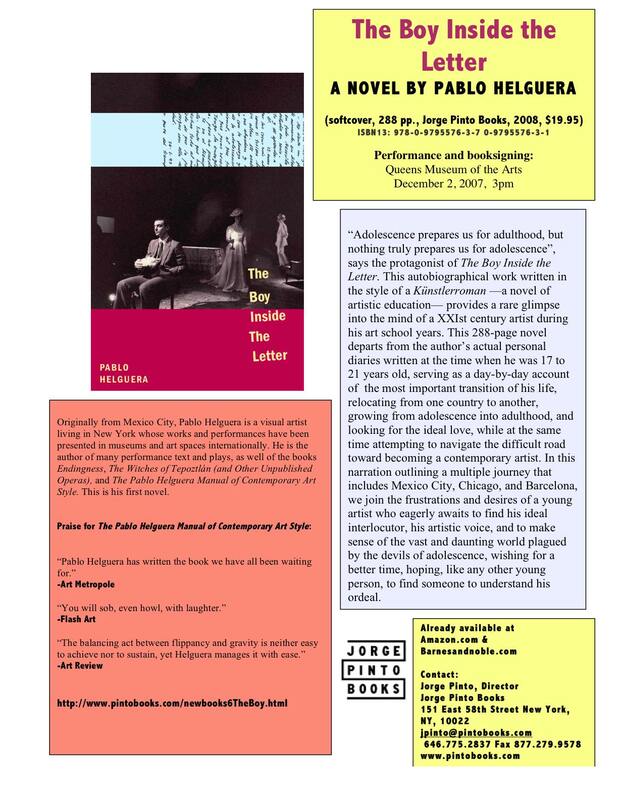 In this narration outlining a multiple journey that includes Mexico City, Chicago, and Barcelona, we join the frustrations and desires of a young artist who eagerly awaits to find his ideal interlocutor, his artistic voice, and to make sense of the vast and daunting world plagued by the devils of adolescence, wishing for a better time, hoping, like any other young person, to find someone to understand his ordeal. "Pablo Helguera is an educator and artist who uses satire to explore the complicated social structure of the contemporary art scene. His performance, "We all need a Pygmalion," takes the form of a "self-improvement" workshop with a musical component—Helguera sings songs about the art world to melodies from My Fair Lady. The performance is an introduction to his book The Pablo Helguera Manual of Contemporary Art Style. Written in the style of an old-school etiquette handbook, Helguera's wry advice is practical for any artist." Pablo Helguera is a visual artist living in New York whose works and performances have been presented in museums and art spaces internationally. He is the author of many performance text and plays, as well of the books Endingness, The Witches of Tepoztlán (and Other Unpublished Operas), and The Pablo Helguera Manual of Contemporary Art Style.